Many users may wonder that why there is no Recycle Bin in Android phones. We format and delete files and other data from our Android phone pretty frequently and many times we do that by mistake, then fret over how to get it back. In all the laptops and PCs, if we delete any file by mistake we can easily get it back by going to the Recycle Bin and then restoring it from there. You might wonder if there is Recycle Bin for Android phones where does the deleted data temporarily get stored. You might even want to know if you can retrieve and restore it in anyway. Once you delete a file or a data on your Android phone, it does not get permanently deleted right away, in fact, it gets stored in your phones internal memory. This Recycle Bin location in the internal memory cannot be accessed directly through your phones. The space where these deleted files are stored is marked readable, which means that once the space of the file is deleted new file or data can use this space by overwriting the deleted data. Since, this Android trash is temporarily available, it can be restored easily. As mentioned before, there is no option of Recycle Bin recovery inbuilt Android phones so to recover these deleted files you will have to make use of the third party applications and tools. UltData for Android is a wonderful tool which can be used to recover all the deleted files like music, contacts, messages etc. This is a highly recommended tool and is very efficient in performing this function. Be it any type of file, it can recover anything and that too very fast. It is very safe to use as well. You can know how to empty trash on Android and then recover it by using this tool in the below steps. 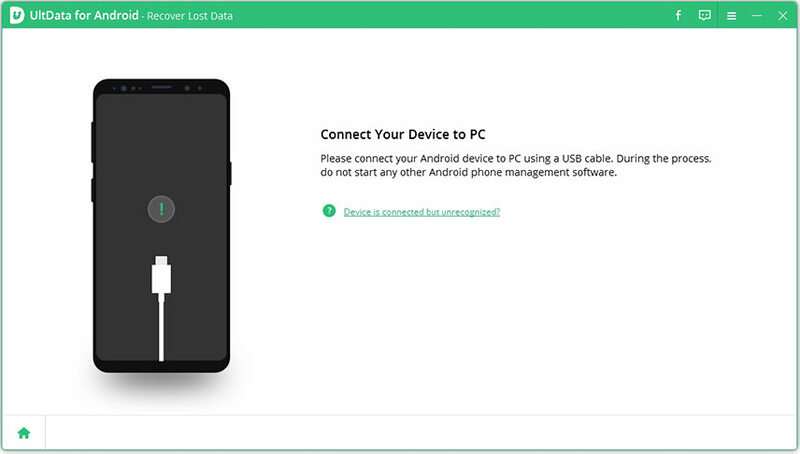 Step 1 On your laptop, download and then launch Tenorshare UltData and then connect your Android phone to it. If your device did not be detected by the software, then you can turn on USB debugging. Step 2 Your device will be detected and you will get a window pop for permission to allow USB debugging, click on "OK". Step 3 Choose the data you want to recover, click on "Next", then tag on "Only display the deleted items" to filter out the files. Step 4 Click on "Recover", choose the destination where you want to store them and click on "Save". 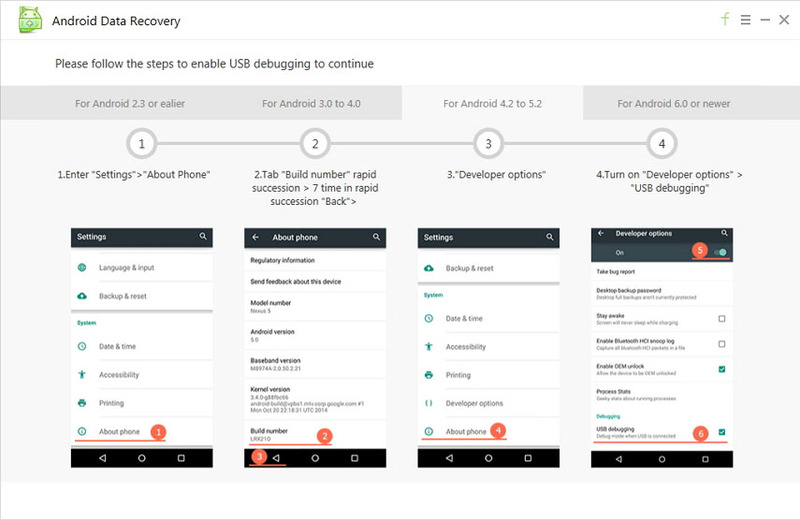 By following these easy steps you can recover deleted files on your Android phone. Since there is no Recycle Bin or Android trash folder as such for storing all the deleted files in Recycle Bin you will have to make use of the third party applications. The above mentioned tool is the best recovery tool for Android but there are many other third party applications as well which are described in detail below. The installation process of this is pretty simple and the application is very user friendly as well. Any kind of deleted data like photos, videos, music files, messages etc can be easily recovered using this. Even the deleted applications on your phone can be recovered from the Trash Bin. Unlike laptops and PCs, once the Trash Bin in Dumpster gets accumulated of too much trash it automatically deletes the files frequently. Dumpster is available on Google Play and you can install it just by tapping on "Install". Recycle Bin is another popular application which can be used as a trash bin for all the files and data stored in your Android phone. This is an excellent application which works with most of the third party file explorers. This application can be used to recover any kind of files and data but it is a little different than the previous application in function. While using this application, whenever you delete a file you will have to select Recycle Bin in the function menu available. This way it is actually not deleted but sent to the application and is stored there. You can even choose the file formats or types of files which need to be watched by the application if in case you delete any file by accident. Multiple files and folders can be sent to this application for storage at once. You can empty the Recycle Bin by simply tapping on the option "Permanently Delete The File". You can download Recycle Bin application from Google Play on your Android phone. There might have been many times when you have accidentally deleted some important files from your Android phone and then you worry about what is going to happen next. This article shows how to empty trash on Android phone without worrying and easily recovering it back. Dumpster and Recycle Bin are some of the most downloaded file recovery applications which can be used for recovering accidentally deleted files on your Android phone. The most recommended way of recovering the deleted files from the internal memory of your phone is by using Tenorshare UltData for Android which performs the recovery function efficiently and safely.